shortly after the successful world record jump. 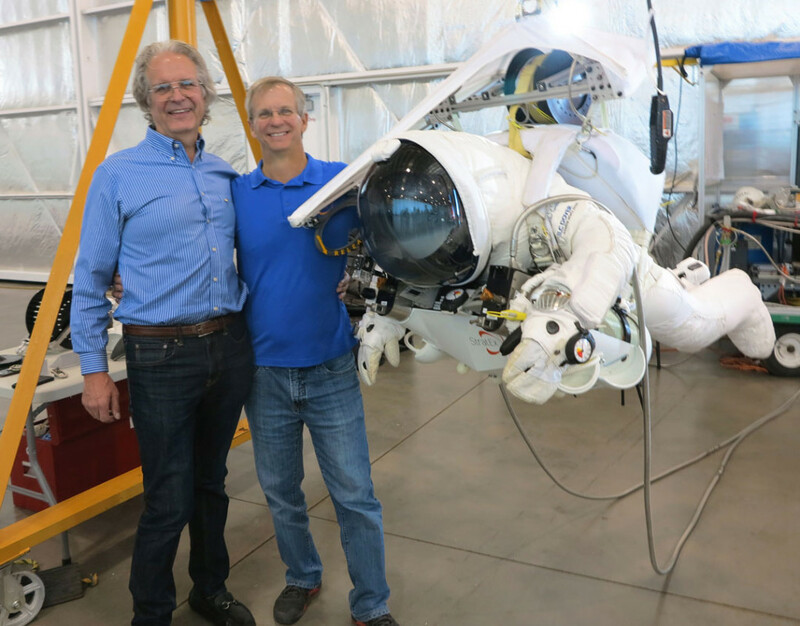 Alan Eustace set the current world altitude record for a skydive, jumping from 135,890 feet in October 2014. This broke the previous record of 127,800 feet, held for only two years by Red Bull. 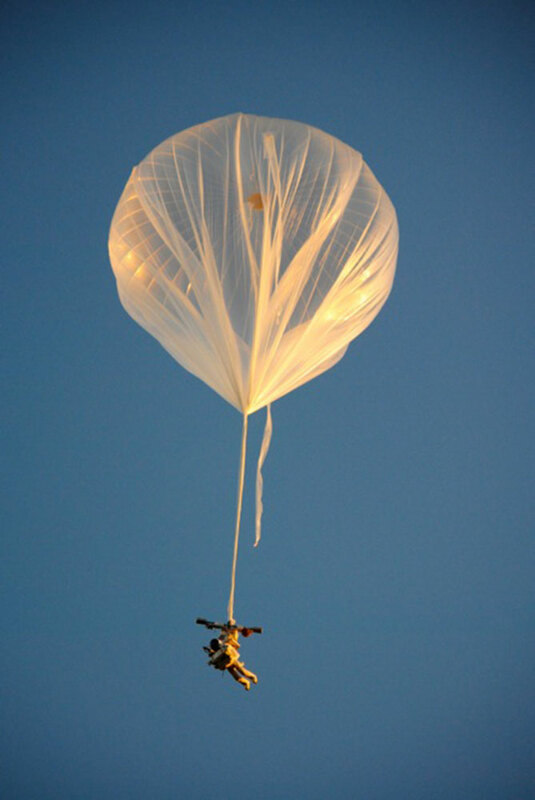 He released from a helium balloon near the top of the stratosphere and fell at 820 miles per hour, 25% faster than the speed of sound! 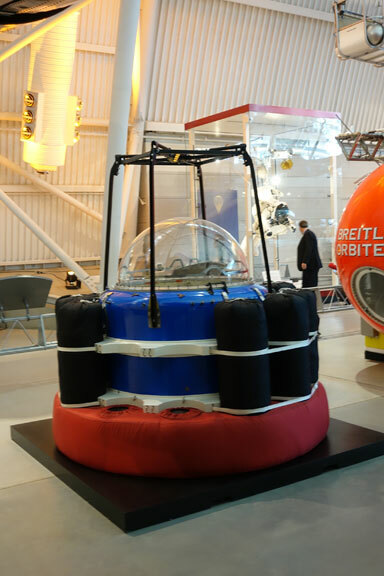 Julian Nott was the Senior Balloon Consultant for the entire three years the project and proposed the unique balloon system used. To learn more click here. skydive equipment are a few feet apart. Click here to learn more about the cabin. 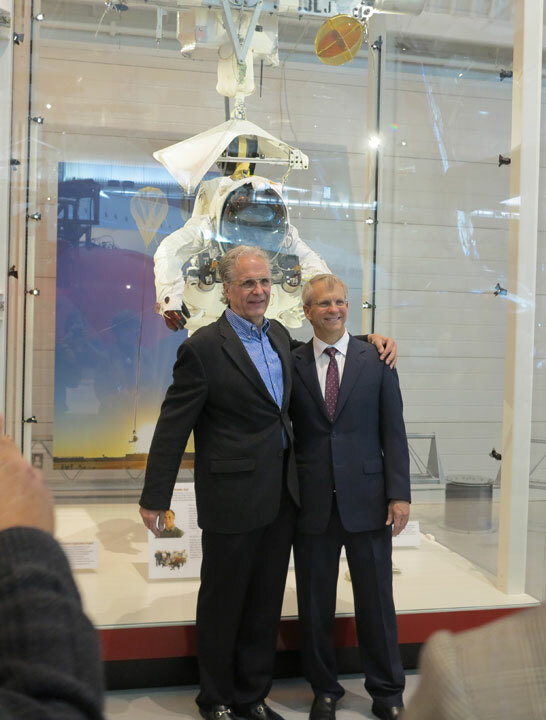 Nott and Eustace with Eustace’s equipment at the unveiling of the display of Eustace’s equipment, now on permanent exhibition in the spectacular Smithsonian National Air and Space Museum Center at Dulles Airport.